PALOMAR MOUNTAIN -- One of the most unique homes in San Diego County is on the market . It’s an old 1948 Santa Fe Railway caboose that has been converted into a guesthouse. “We have several people that are real interested,” said real estate agent Bonnie Phelps. 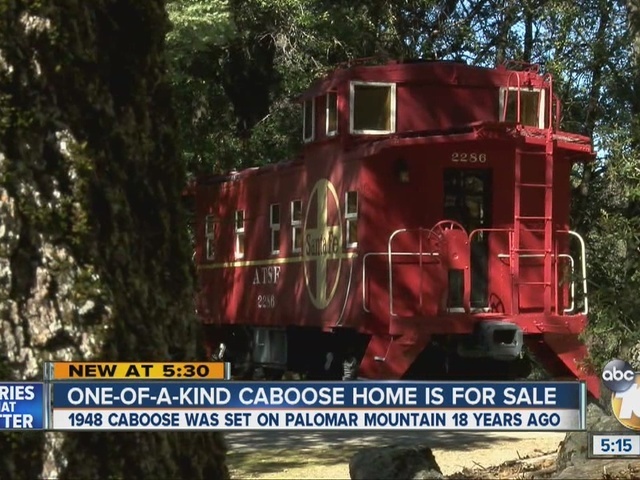 Phelps said the caboose is the guesthouse on a 23-acre property on top of Palomar Mountain. It was put into place 18-years ago and is about 100 yards from the main log cabin and a seven-car garage. It also borders the Palomar Mountain State Park. “So you have a 2,000-acre neighbor,” she added. The entire property goes for $950,000.